Today, your options for mattress are no longer limited to double-sided springs which you need to periodically flip over. However, even if you have better options today, this does not mean you don’t have to do anything after the mattress is set up in your bedroom. Make sure to rotate the mattress top to bottom at least every other month. This will prevent your mattress from showing sags because of body weight. Do you tend to stand on your mattress to reach hang a picture or reach something? If so, you should know this can put some strains on the bedsprings which can be too much for them to bear. Jumping on the bed is even a no-no if you own a platform bed since the wooden support is likely to break which can send the mattress to the floor. 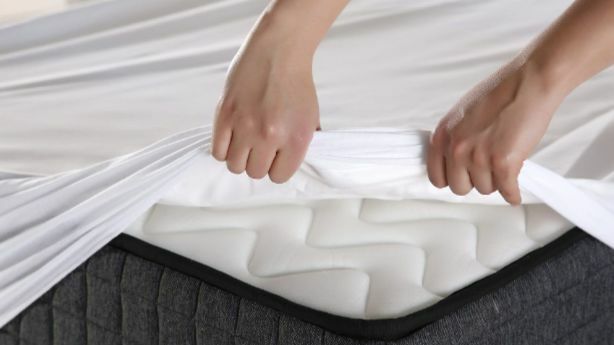 Covering a mattress with a protective pad will protect it against moisture, dust, skin flakes, and body oils. Fortunately, you can find more comfortable and breathable plastic pads than before. In fact, a lot of today’s pads are resistant to dust and thickly padded to provide extra comfort. It is important to periodically clean your mattress, ideally at least twice every year. When cleaning the mattress, strip the bed of all the coverings and vacuum the mattresses’ top and sides thoroughly with the upholstery tool of your vacuum. Keep an eye on the seams of the mattress since dust tends to hide here. Also, consider sprinkling a bit of baking soda on the bed before you vacuum it to eliminate odors. Whatever type of bed you own, make sure you check for sags, cracks, or weakness periodically. Your mattress needs proper support so it does not sag and bed under body weight. Otherwise, you won’t be properly supported either.